A Serene Carnival of All Colors! “With our own colors and nuances, and a blissful serene walk, we demonstrate that richness in color is stronger than monochrome fragility. After the walk we will dance together in a slow but celebratory dance, simply by holding hands and placing one foot in front of the other. And lastly: coffee, tea, and cookies. The Most Serene Principality of Lorenzburg celebrates play, imagination, generosity and community. Come and be proud that you live in the only Swedish city section which is simultaneously a magical fairytale nation! Between 4 – 10 September the city of Karlstad will offer an inclusive “Rainbow” programme in order to celebrate all consensual love. In Lorenzburg it is obvious that all human beings have the right to safety, freedom and love, regardless of inne or outer colors. And so the Principality invites you to come and celebrate this by participating in a slow and dignified Pilgrim Walk. Bring any brightly colored flags that you may have designed, or dress in fanciful clothes to express your most magical you. If you want you can make your own Lorenzburg hand flag to wave. 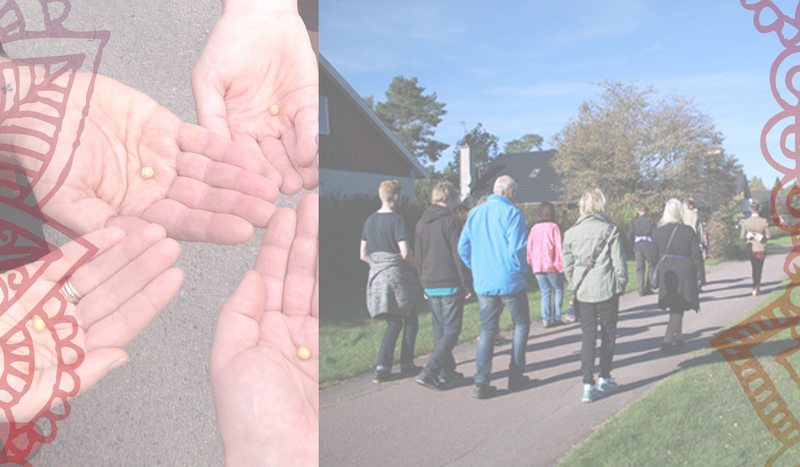 The event is arranged in cooperation with the University Church and the Karlstad Meditation Network, and the project has funding from the Municipality of Karlstad as well as Region Värmland. Please print the diploma and bring it to the celebrations. Then we can sign the document together. Right click and “save as”: Diploma Pea!